Would you like to replace furniture in your kitchen or the entire home? The truth of the matter is that the market has a broad range of options that you can choose from. Traditionally, homeowners have been choosing conventional furniture styles such as sofas that are covered with fabric or leather. Most kitchens were characterized with granite and Formica. Currently, people have now started going for out-of-the-box material choices. Some of these materials have been in the cold for a very long time but they are making their way back into the industry. Some materials like concrete had been largely associated with outdoor hardscaping like driveways and retaining walls. However, it is now a very beautiful material for making furniture. No wonder you can now find several concrete kitchen tables in the market. You can still use the same material to make chairs and sofas. It is one of the best entries in the kitchen design industry. It is good to understand some of the pros and cons of concrete kitchen tables before taking it as an option. After all, everyone is looking for value for his or her money when installing new furniture in the home. Concrete kitchen tables are a cost-effective option. Concrete in itself is highly affordable in comparison to the other options that the market has to offer. For instance, concrete kitchen tables are very cheap in comparison to those that are manufactured from tiles. The other upside of concrete kitchen tables is that they can be custom-made. The only thing that will limit you when planning for concrete kitchen tables is your imagination. You can work hand in hand with your contractor to create any design, shape, and size of mold as you wish and transform your creations into a reality. Concrete kitchen tables also have a broad range of color selection. Gone are the days when you could only find the concrete material in the dull gray shade. With concrete staining and integral color, you can get any kind of decorative hue that you wish. There is also a broad range of finish and texture possibilities. Your craftsman can mold the concrete kitchen tables so well for them to simulate wood grain. They can also take the shape of any texture that you think of inventing you can also give the concrete materials a broad range of decorative finishes. The concrete materials can withstand a lot of punishment. The material is resistant to insects, decay, water, fire and many more. This means that that material can stand up to any form of tear and wear. 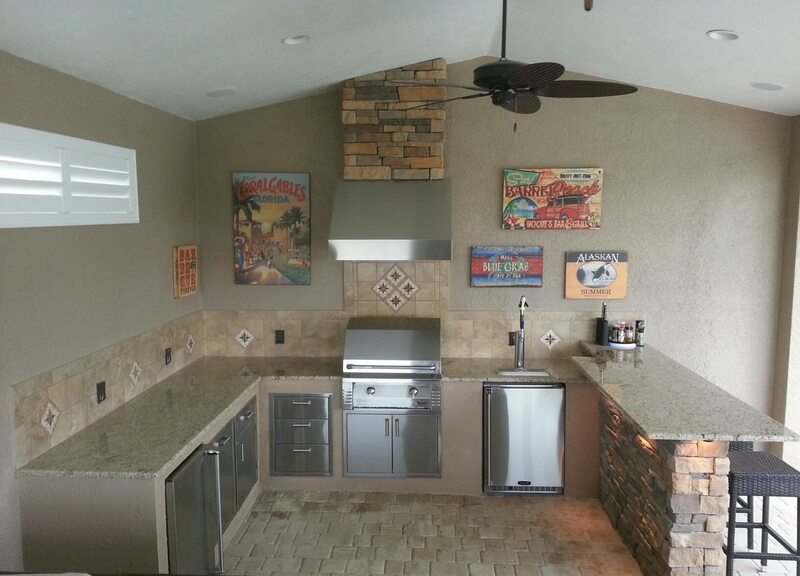 Concrete kitchen tables can, therefore, that best option for your outdoor kitchens. The concrete material is highly durable and hence the equipment that it produces. Tables, unlike chairs, are supposed to be tough. Concrete is a tough material and hence the best choice for tables. It may not be comfortable to have a concrete chair but it’s the best material for tables. The challenge with concrete kitchen tables is the fact that they are heavy. In fact, they are really heavy. This makes it quite hard for you to move them when cleaning especially if they are large in size. However, you can always find light versions out there as long as you shop well. You can also talk to your designer to help you in creating custom-made products that will be a bit lighter in weight. The other challenge with concrete kitchen tables is that they absorb a lot of liquid. The scenario is worse because you will be using this equipment in the kitchen. Remember a kitchen is a place that is characterized by a high amount of water and liquids. The concrete tables are porous and will absorb spills resulting into unsightly stains. However, you can avoid this problem by applying a sealer to your concrete kitchen tables. It is not also recommended to put hot items on top of your concrete kitchen tables. The other challenge with the concrete materials is that it cracks very easily. The concrete kitchen table can crack so easily if they drop or in case something heavy falls on them. The uniqueness and weight of concrete kitchen tables appeal so many clients who want to give a unique look to their space. In case you think that concrete is the best option for you, why not go for it.